Last week the Halewood Education Business Partnership Centre (EBPC) held another of our ‘Inspiring Young Engineers’ courses. This time the young people involved were the youngest group – 8 to 11 years - we have so far had taking part in this fantastic opportunity for young people to experience the world of modern engineering and manufacturing. 22 young people – including quite a few sons & daughters of Halewood employees - attended. 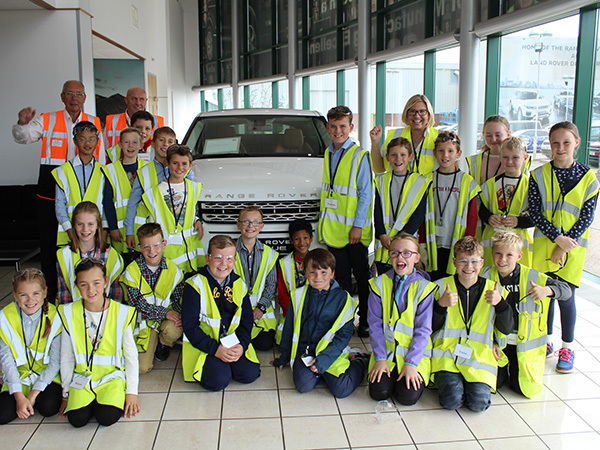 As well as a variety of fun Classroom activities – including the very challenging ‘Marshmallow Tower’ challenge – the students were all given an excellent insight into how the Halewood plant operates – with behind the scene visits to several parts of the factory. It has to be said that these holiday courses would not be the great success that they have proven to be if it were not for the huge level of support that we receive from all areas of the plant.